“What a beautiful flower growing in the middle of the desert.” I was on a hike with friends in the Red Cliff Desert Reserve in St. George Utah, when I caught sight of this lovely flower. I took several photos and since it was a bit windy one friend even held a blossom still so I could photograph it better. A few days later I was visiting an art gallery and saw a reproduction of a painting by famous southwest artist Georgia O’Keefe. “That’s the same flower,” I said recognizing the flower I’d photographed in the desert. Turns out it wasn’t a flower at all but the Jimson Weed, a plant that originated in Mexico but has now spread throughout the southwest and…… Georgia O’Keefe was just as enamored with the flowering plant as I was. She painted several different versions of it. Kind of made me feel special to know I shared an artistic eye with someone like Georgia O’ Keefe. 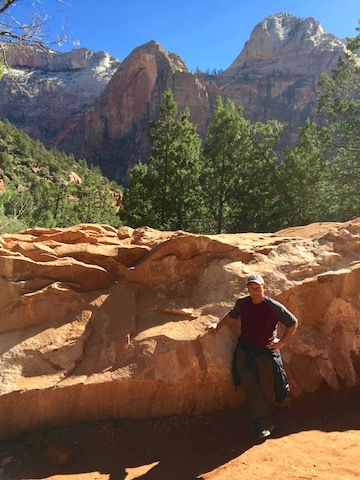 When pioneer Isaac Behunin saw the rock formations in what is now Utah’s Zion National Park in 1863 he is said to have exclaimed “These are the temples of God, built without human hands. You can worship God among these great cathedrals as well as in any church. 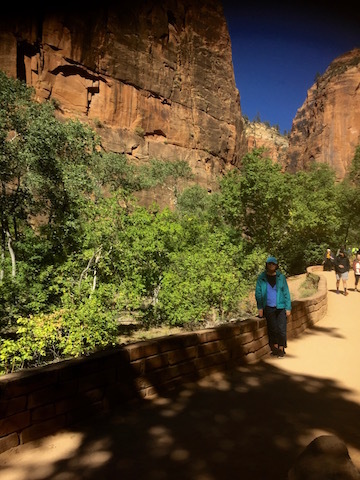 ” He called the place Zion because it is a religious term used to describe a place of worship, refuge and sanctuary. We spent last Sunday in that place of worship. 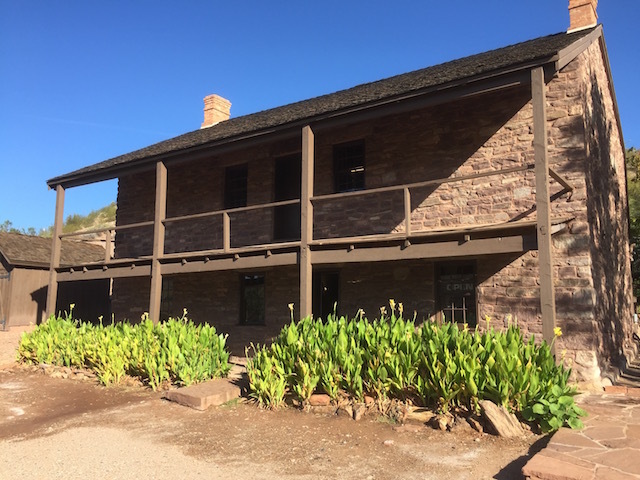 We toured the winter home of Mormon leader Brigham Young in St. George Utah. Although our guide informed us Brigham Young only had 16 wives ( he had children with sixteen different women) Wikipedia records 55 wives and Harriet Amelia Folsom Young is listed as number 50. Harriet Amelia was twenty-four years old when she married the sixty -one year old leader of the Latter Day Saints. Harriet Amelia changed her name to Amelia upon her marriage since her husband already had two other wives named Harriet. Amelia was rumored to be Brigham Young’s favorite wife and so it is not surprising she was the one he chose to have travel south from Salt Lake City with him each winter during the last years of his life when he spent several months in the warmer climate of St. George. One of our guides at the house showed us Amelia’s piano and told us how musical she was. 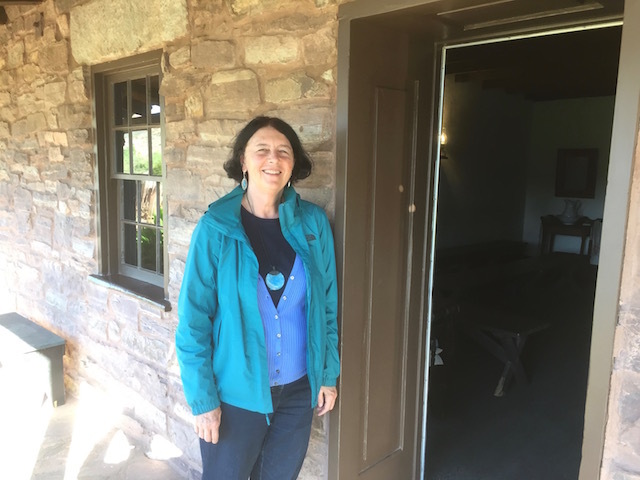 Our guide said the reason Amelia was chosen as the wife to travel to St. George with her husband was because she was a good nurse and Brigham suffered from multiple ailments in his last years. Also Amelia was childless so traveling with Brigham didn’t neccesitate her leaving any children behind in Salt Lake City as might have been the case with his other wives. The diningroom where Birgham and Amelia entertained guests. The china is embossed with a gold Y. Apparently Amelia was not only musical, but charming and intelligent and at ease with entertaining guests to the Young home. I wonder how Brigham’s other fifty-four wives felt about the special privileges granted Amelia. Apparently none of the other wives came to visit in St. George although Brigham’s children and grandchildren did. He is said to have fathered 56 children 46 of whom lived to adulthood. We don’t know how many grandchildren he had but apparently The New York Times determined that 25 years after his death Brigham Young had over a thousand descendants. Our guide told us this was Brigham’s prayer stool beside his and Amelia’s bed. With a family the size of Brigham’s his knees would have gotten very sore by the time he’d prayed for everyone of them if he’d have been kneeling right on the hard floor. During my time in Utah I learned a great deal about the history of the Mormon church and I grew ever more interested in the women of the faith who despite their lack of official power in the church and lack of official recognition at the time, still cultivated their individuality in different ways and contributed greatly to the future of their church and indeed to the future of the state of Utah. Sangria loaded with fruit, a frosty beer, perfectly grilled brussels sprouts with mango chutney, super spicy hummus, fresh veggies and piping hot pita triangles. Those items created the best food experience we had during our time in Utah. 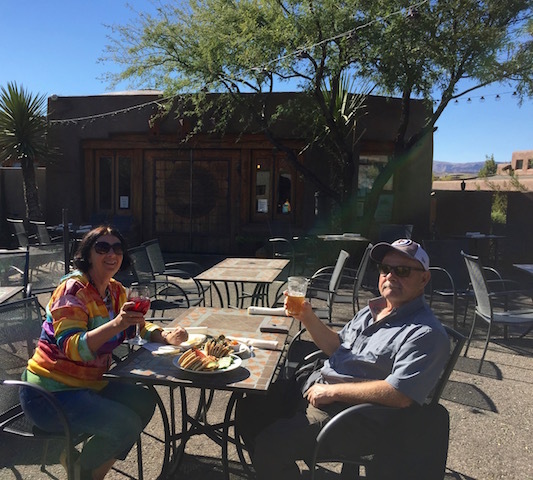 We enjoyed it on a sunny patio in the Xetava Gardens Restaurant in the Coyote Gulch Art Village just a few miles from St. George, Utah. I had really hoped we could go to Bryce Canyon our last day in Utah but it was a six-hour round trip from our unique rented casita high in the hills and we figured that was too much driving just before we began a long seventeen hour plane journey back to Winnipeg. 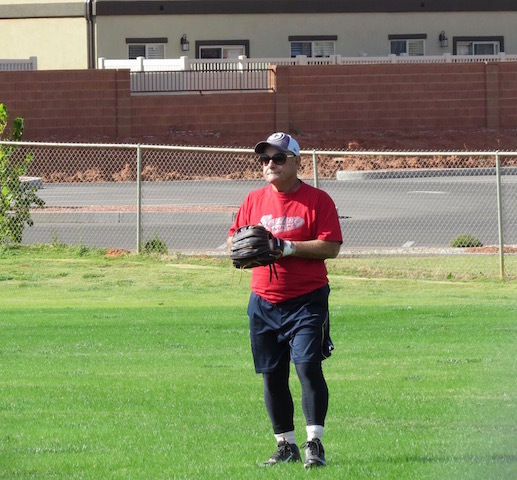 So……….we had a more laid back day in and around St. George and it turned out to be lovely. 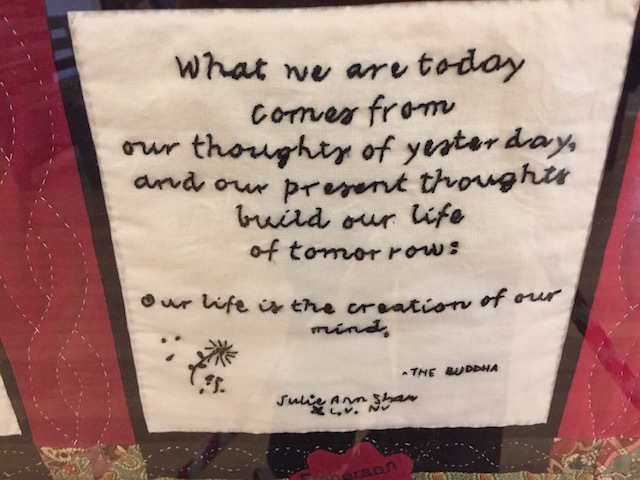 After a good breakfast at a restaurant called The Egg and I Dave spent the morning clothes shopping while I explored some of the unique public art in downtown St. George and popped into the local art gallery. 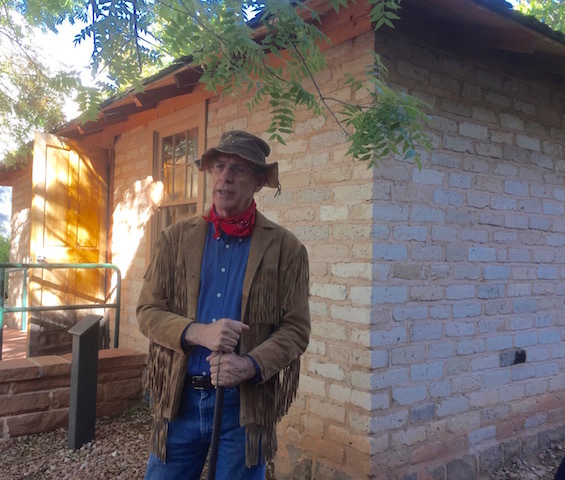 Then we were off to explore the Coyote Gulch Art Village in Ivins. We strolled through all the shops looking at the work of local artists and enjoying some of the unique outdoor pieces as well. Then we sat in the sun savoring our delicious lunch for a long while. It turned out to be one of our nicest days in Utah weather wise. During our ten days in Utah the weather was sometimes warmer in Winnipeg than it was there. We headed next for a leisurely drive through Snow Canyon State Park and stopped to hike the Jenny’s Canyon Trail. It was so beautiful and we were all alone on the trail. It was incredibly quiet and peaceful and the scenery was spectacular. 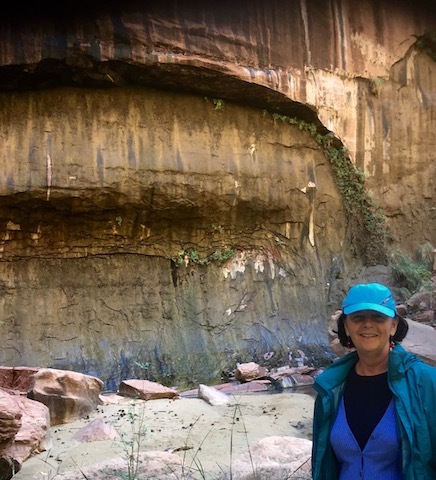 The day before we had hiked at Zion National Park. Although it is an amazing natural wonder the paths and rest areas and parking lots were jam-packed with people and that made for a very different experience. The climb down from Jenny’s Canyon was a little steep so I took my time. Dave of course jogged down and took this picture of me way up top. The Jenny’s Canyon Trail was just perfect! 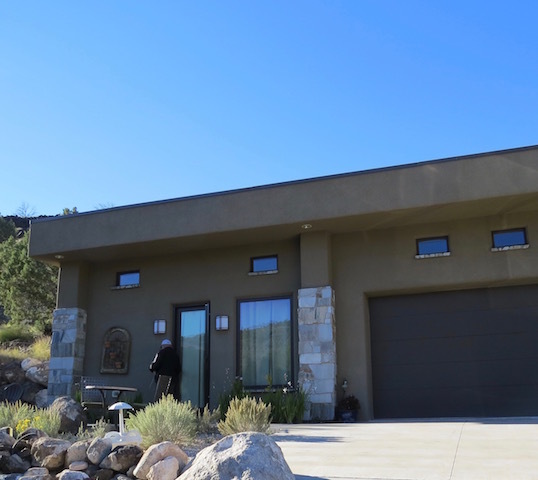 Then we headed home again to our little casita where we drank wine, ate chocolate and watched a compelling if not slightly sad and macabre film on Netflix called The Kindergarten Teacher in which Maggie Gyllenhaal gives a stunning performance. We had a lovely last day in Utah. It’s The Women That Impress Me! “He traveled some 30,000 miles in this saddle as a kind of diplomat making peace with the Indian nations in the southwest.” On a history tour of St. George, Utah we learned about a man named Jacob Hamblin who was a western pioneer and Mormon missionary aiding settlement in southern Utah and northern Arizona. 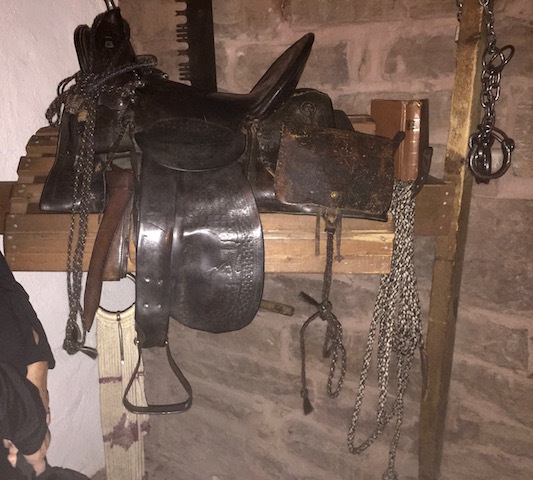 In his house our guide proudly showed us Jacob’s saddle and talked about his inspirational life. He spent so many hours in that saddle as he traveled across the southwest helping new settlers and establishing cordial relationships with First Nations groups. I saw photos of two of Jacob’s five wives in his home and wondered aloud if it hadn’t been those women who were truly inspirational. According to Wikipedia Jacob fathered some 25 children with his five wives. 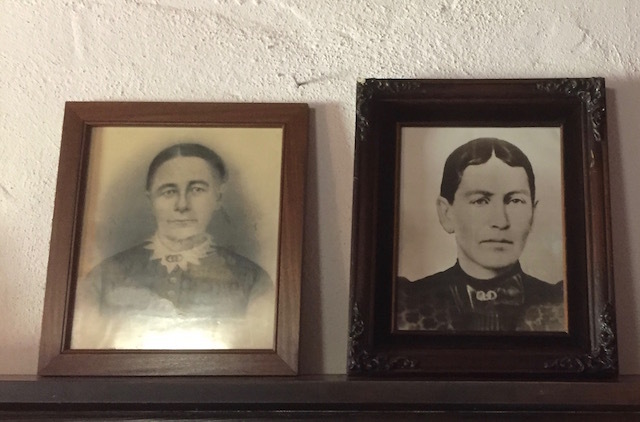 Although his first wife stayed in Ohio when Jacob decided to move to Utah he took their four children along with him and his subsequent wives helped to raise them as well as their own children. 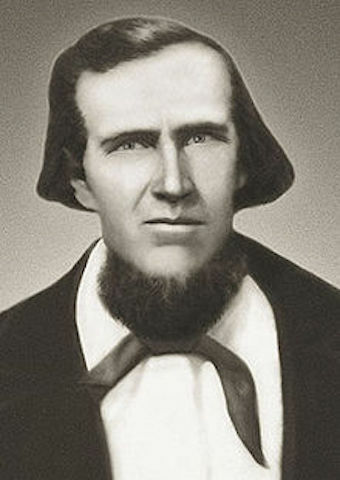 Jacob’s work as a broker between Mormon settlements and First Nations groups was only possible because his wives stayed home to ‘hold down the fort’ caring for his livestock, his orchards, his cotton fields, his gardens, maintaining his home, and seeing to the education and upbringing of his children. Although history records his wives’ names- Lucinda, Rachel, Sarah, Eliza and Louisa of course Jacob is the one we know the most about and the one who history honors. Indeed the house where he lived is called The Jacob Hamblin House when in fact he was seldom there but usually out on his missionary and diplomatic journeys. 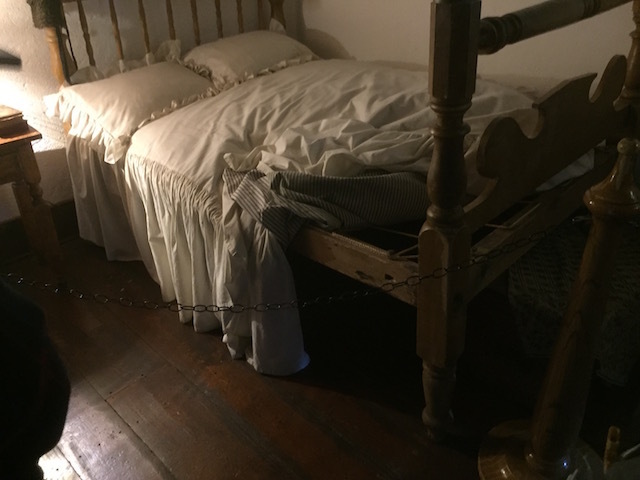 On the main floor of Jacob’s house we saw the marriage bed where Jacob will have done his part to conceive his many children. 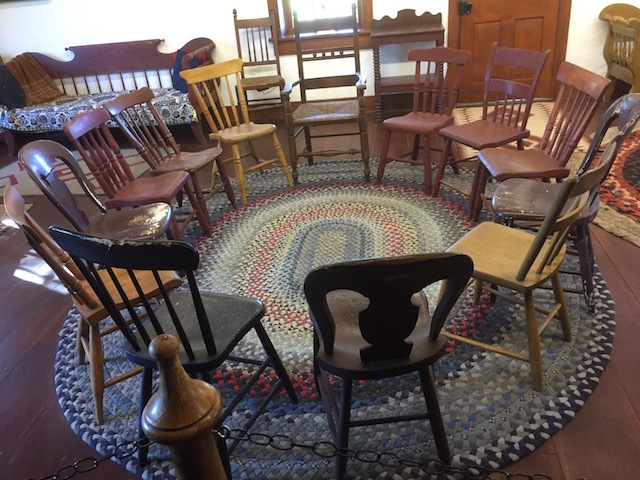 Upstairs was a circle of chairs to show how the children met together with their parents for worship and family meetings and education. The maintainence of that family circle was largely left to Jacob’s wives while he traveled his 30,000 miles. I wonder if the Jacob Hamblin House shouldn’t be named after them. 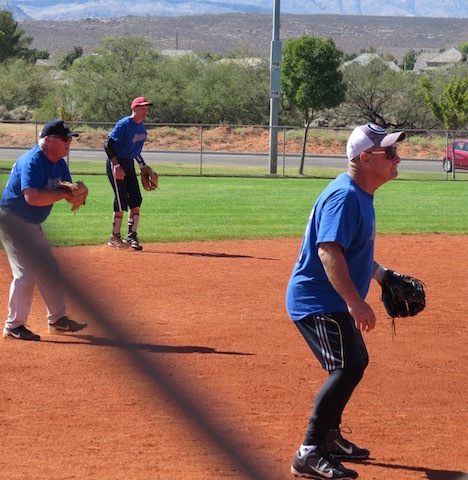 We were in St. George Utah last week because……. 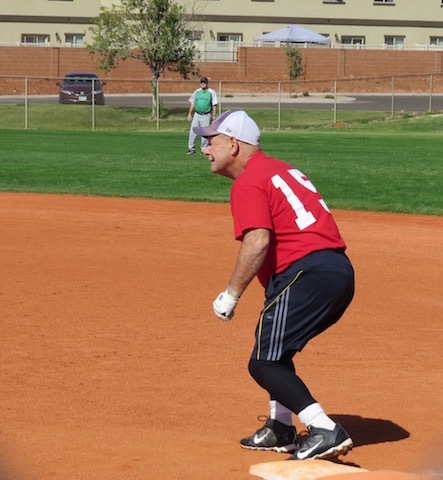 my husband Dave was playing ball in the Huntsman World Senior Games an international sporting competition for people over the age of 50. Some of my blog readers have been anxiously waiting to hear news about the Manitoba team Dave competed with in the games. 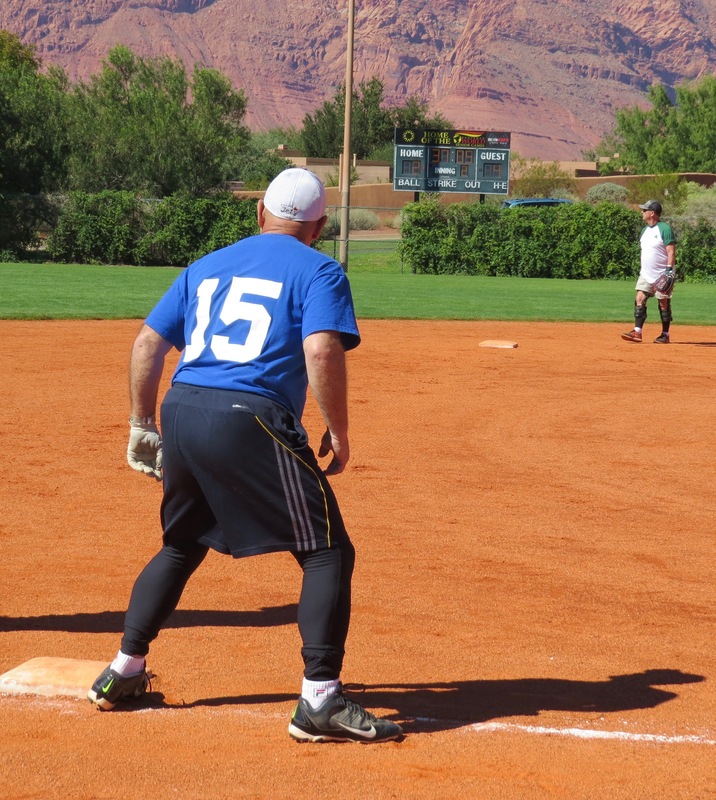 Although my varied blog posts from Utah so far might give you the idea I wasn’t taking my husband’s athletic endeavors seriously nothing could be further from the truth. I was at every single game cheering him on. I took lots of photos. 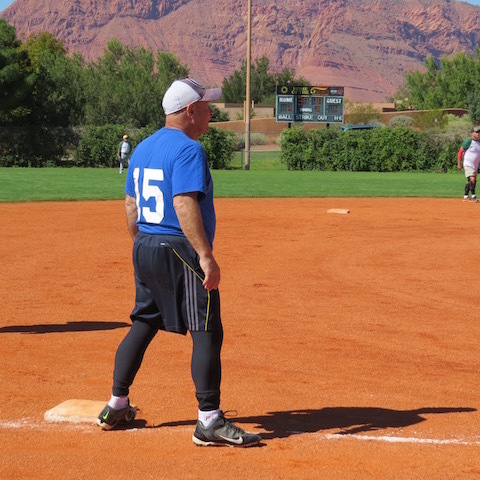 The team competed at three different softball complexes each with multiple diamonds and great views of the stunning Utah scenery. 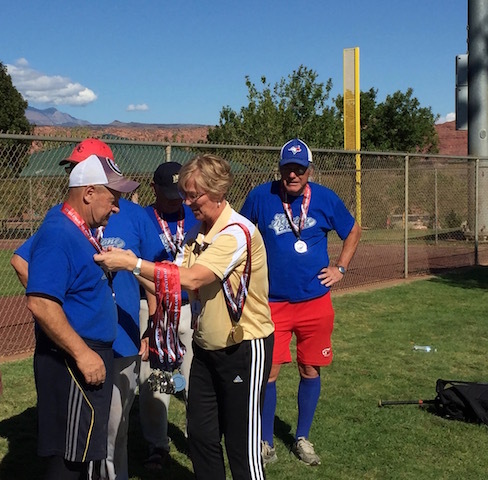 They played eight games and ended up the silver medalists in their division which was for players 65 years and older. 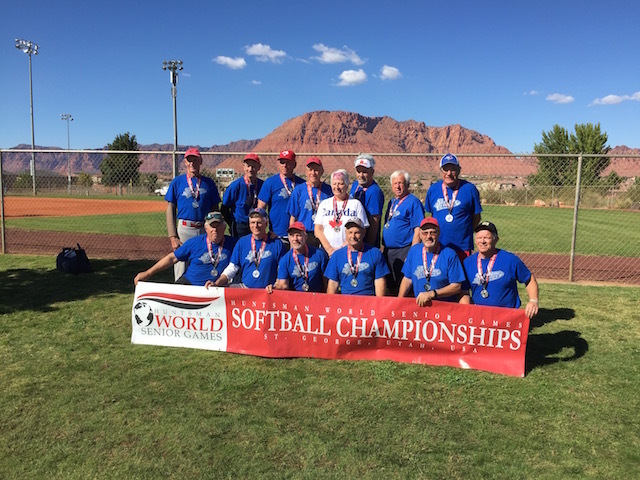 It was interesting that many of the teams in their division were from Canada. 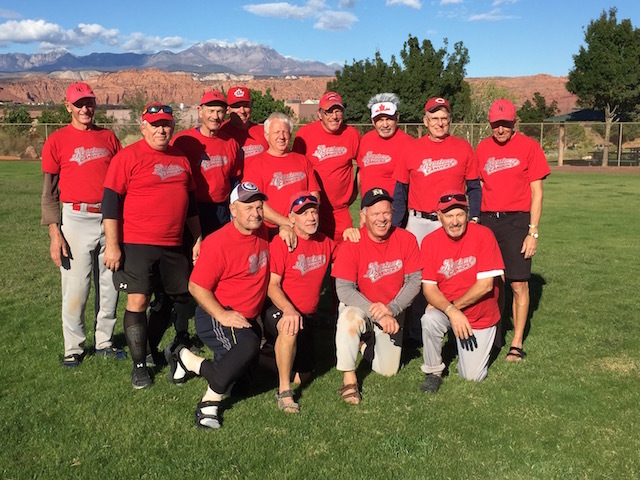 They played against squads from Ontario, Alberta and Newfoundland as well as teams from Washington, California and Utah. The weather was certainly variable during the games. Everything from blazing heat which had us fans scrambling to find shady trees to sit under to watch the action, to freezing cold days when we shivered in the stands despite wearing multiple layers of clothing. One day it rained for more than an hour solid right before our game but cleared up just as we took to the field. 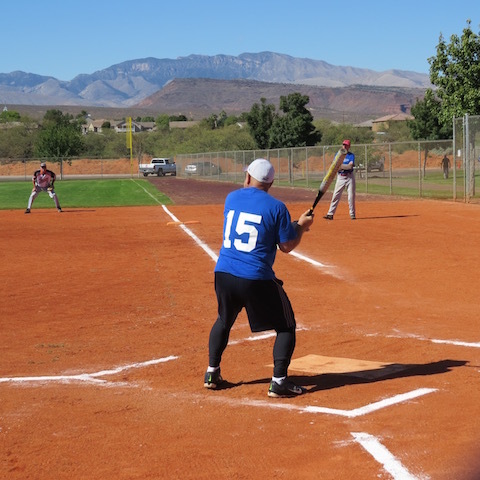 Some of the games were very close and exciting and victories were determined only in the last inning. 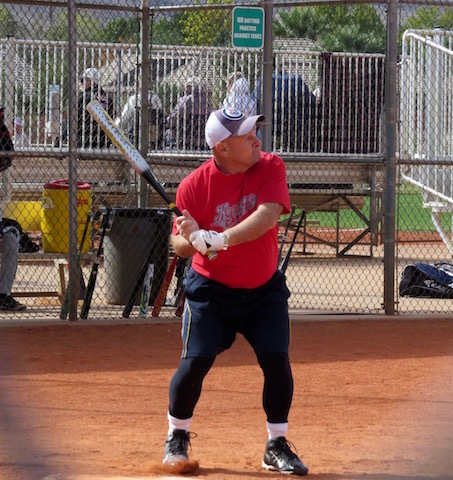 I enjoyed watching the umpires in action. Each had their own unique style and technique. 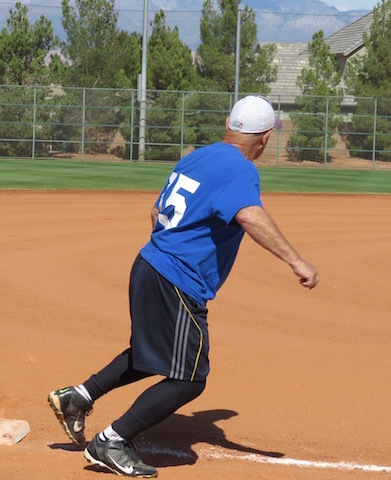 I also enjoyed visiting with fans and players from other teams. I bought cookies from a group of kids who told me the story of their cousin who has cancer. They were raising money for his medical care with their bake sale. I visited with a woman from Toronto who has been at the seniors games with her husband seventeen years in a row. 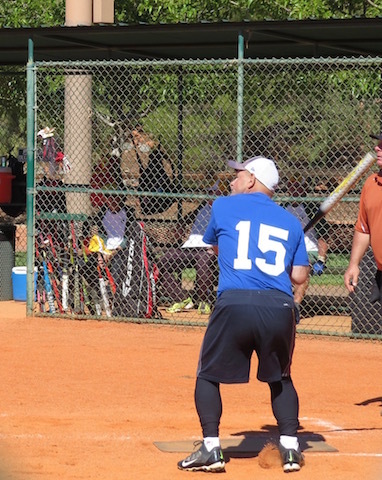 I spent an hour-long rainstorm huddled under a canteen overhang with a ball player from Texas, who was a Vietnam vet and professional rodeo rider. His life story was fascinating. 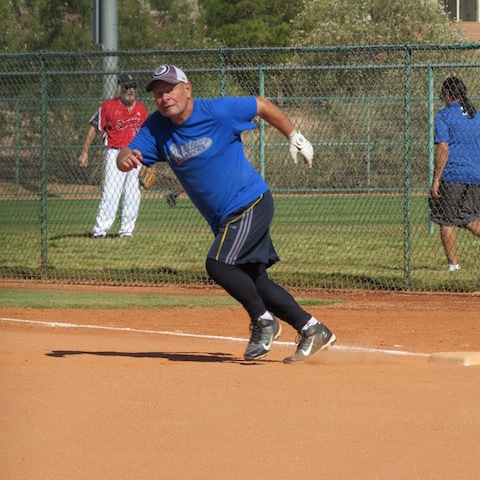 The ball games were also fascinating in their own way because all the players no matter their age were there to showcase their skills, challenge themselves physically, engage in healthy exercise, participate in some good competition and have fun. 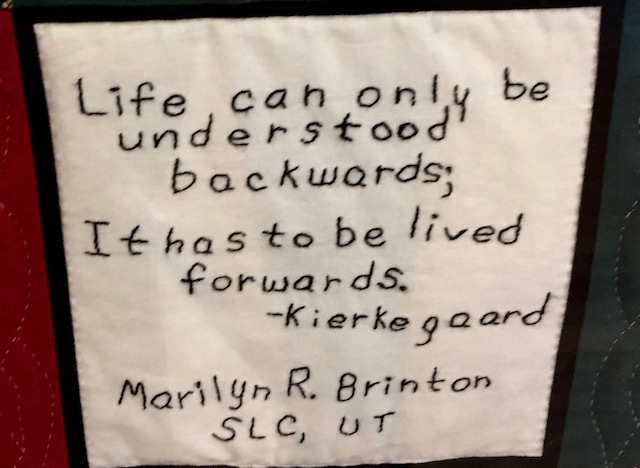 In an old courthouse in St. George Utah I saw this beautiful quilt hanging on the wall. 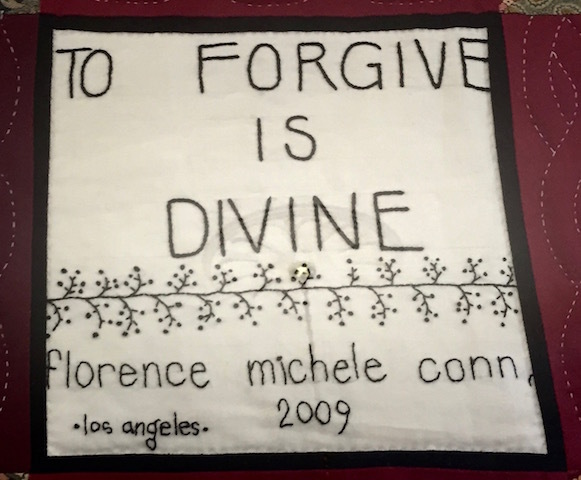 It is called A Remembrance and Reconciliation quilt. 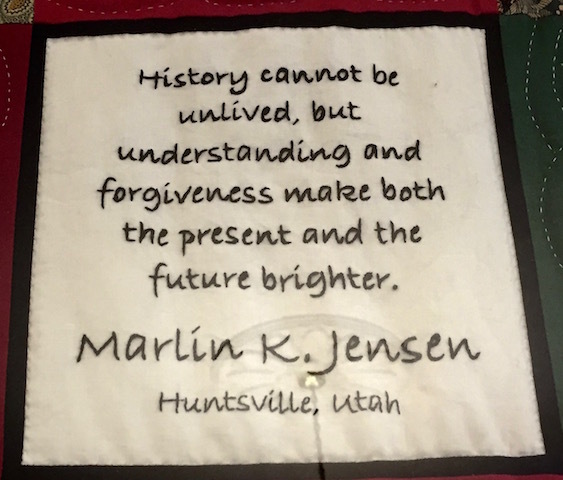 It tells the story of a horrific incident in Utah history referred to as the Mountain Meadows Massacre. In a New York Times article Sally Denton calls it “the darkest stain” on the history of the Mormon religion. On September 11, 1857 in a meadow in southwest Utah militiamen from the church of Jesus Christ of Latter Day Saints attacked a wagon train of Arkansas families on their way to set up new homes in California. They killed 140 men, women and older children, saving only seventeen children under the age of eight. The head of the Mormon militia was a man named John D. Lee who was the adopted son of Mormon prophet Brigham Young. The church has labeled Lee a renegade zealot. He felt he needed get rid of infidels who might want to hurt the Mormons or infiltrate their territory. To this day there continues to be a great deal of controversy about exactly what transpired. How much did Mormon church authorities know about the massacre both before and after it happened? Did they try to cover up evidence or unfairly place blame elsewhere, including on a local group of First Nations people? 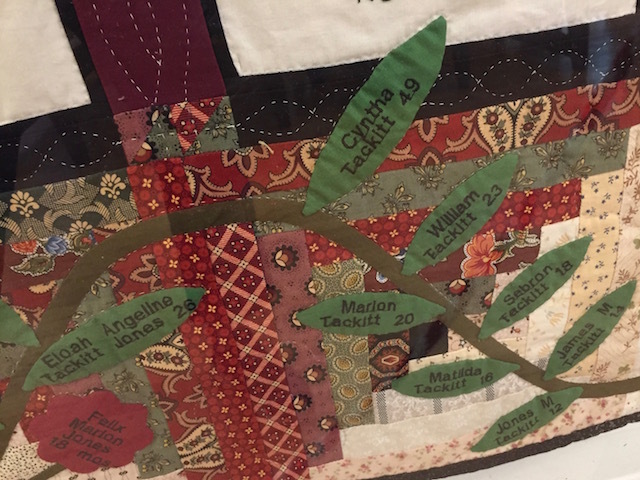 The quilt I saw in St. George has forty eight squares contributed by descendants of both the militiamen who helped Lee carry out the massacre as well as descendants of the Arkansas settlers whose ancestors were killed. 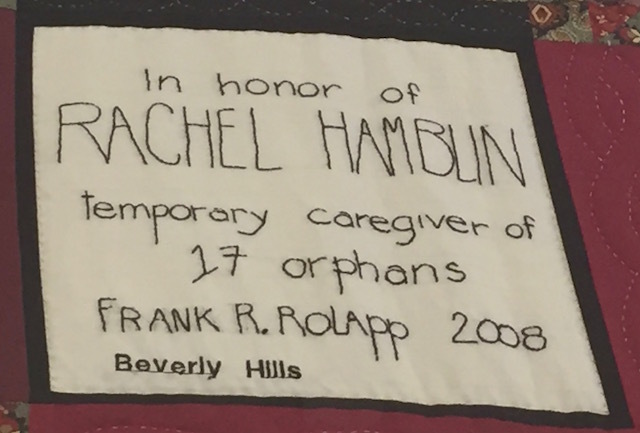 A similar quilt is on display in Arkansas. 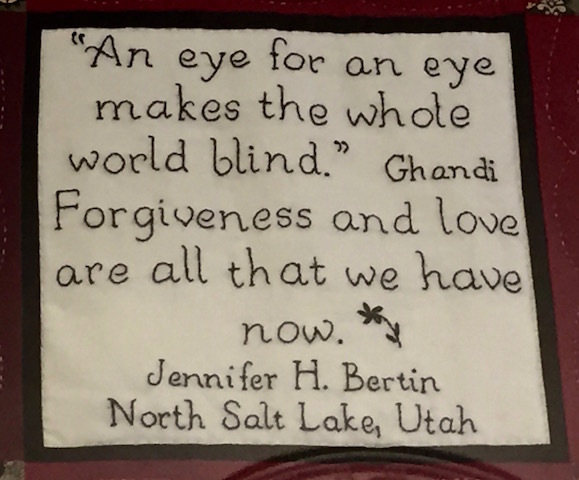 It is a way to remember those who died and to express sorrow over what happened as well as provide an avenue for healing. 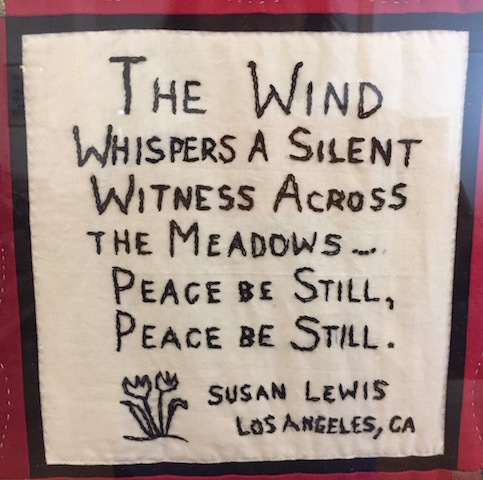 Green leaves on the quilt record the names of people killed. Red flowers record the names of the seventeen children who were spared. 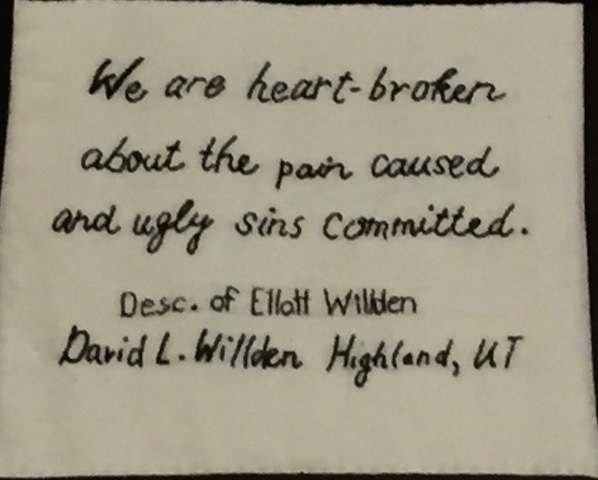 The quilt tells a tragic and damning story but I have to give credit to the Church of Jesus Christ of Latter Day Saints for having it on display where thousands of visitors can see it. As is the case with so many religious groups who must now confront the atrocities committed by their clergy and membership in the past, there is hopefully a growing realization that only transparency and honesty, admission of guilt and request of forgiveness, can help pave the way to a more peaceful future where no religious group believes it has a corner on the truth so all are accepted with love and are never seen as enemies.